If there’s one thing we learned from a certain late-night excursion last year, it’s that Nashville loves Mumford & Sons – or maybe they just really love us. Okay, they definitely love us. If you didn’t get a chance to catch Mumford & Sons at their sold-out War Memorial show in November 2010, they’re coming back for another round (or three). The band announced today that they’ll be playing three consecutive Nashville shows in March, at none other than our beloved Mother Church. Tickets go on sale February 4th. If you’ll excuse us, we’re off to go stand in line now. 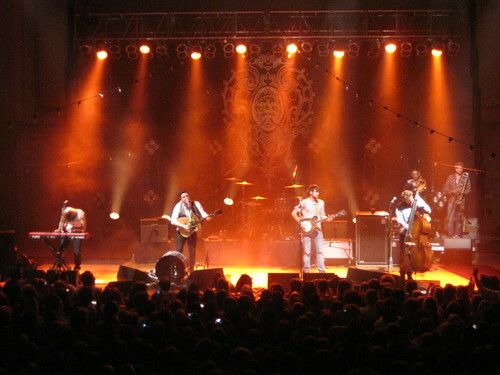 Mumford & Sons at the Ryman Auditorium, March 6, 7 & 8. Tickets on sale February 4 at Ticketmaster.